the chipboard is designed by IMAGINARIUM DESIGNS click HERE to see all the yummy "STUFF", it is delicious !!!! 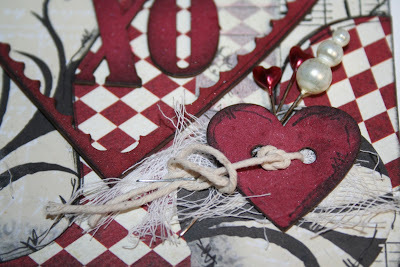 My fave combo too Heather...this is a gorgeous card, love your pearl pin with the heart & net...just so lovely. Such gorgeous card! LOVE it...this is indeed an awesome card. If you have a moment upload it to Color Combos galore because this is our colour combo this week! Thanks sooooo so much for ALL your kind words. Why do I feel like you are a wise old soul (I dont mean old THAT way!) ..Thanks for caring and for your advice. Many hugz from me too. Oh this is such a beautiful card Heather. Fabulous!! Beautiful card love the colors and yummie details. Wow that's a gorgeous card Heather! Thanks so much for your lovely comment on my blog! This is beautiful!!! Just love the papers you used. The card kind of has a Tim Buron - Alice in Wonderland look. LOVE it!!! Oh wow, this is beautiful Heather, love the color and that pin is my fav, thanks for sharing! Wow, this is just stunning!!! Beautiful card Heather........I love the vintage feel it has and the little pins look so pretty. Heather this is just gorgeous, what a wonderful combination! I hardly ever use those colours but this is so effective, great! Im with you on the colour combo, its my fav also. 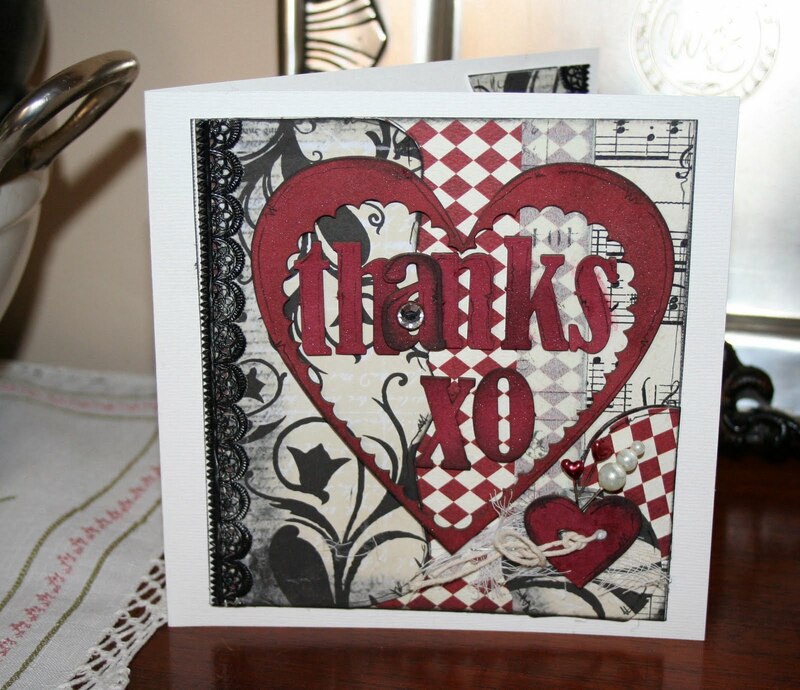 I love the details on this card and the threaded heart, such an inspiration you are. Just gorgeous, Heather! It is indeed perfect for last week's palette at CCG! Hope you'll play along again soon!